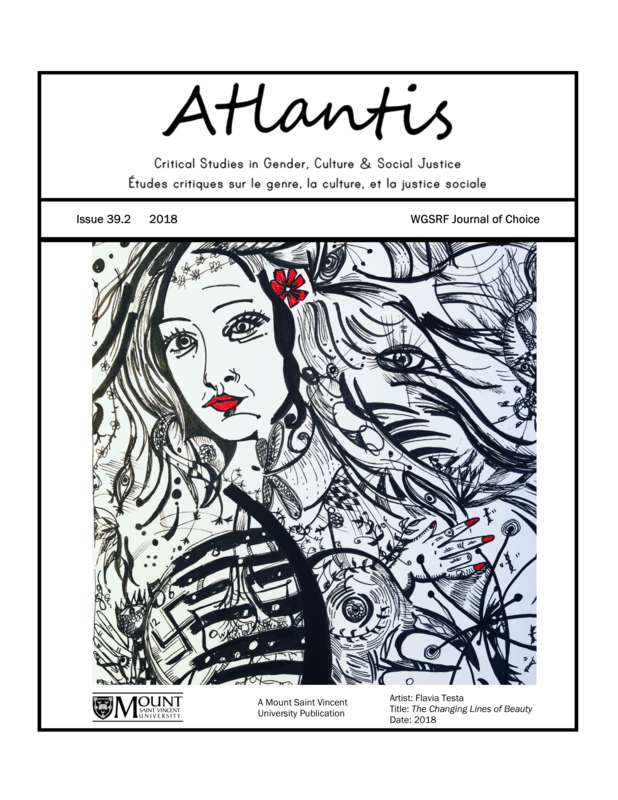 Nous fournissons une auto-ethnographie des confrontations sexospécifiques dans un séminaire de troisième cycle. Nous utilisons une optique affective pour affirmer que ces confrontations découlent de « quelque chose de plus » que le simple sexisme individuel. Nous utilisons également l’affect pour cerner comment ces confrontations étaient liées à la fois à des éloignements de la production du savoir en classe et à des ouvertures vers la production de ce savoir. Maggie FitzGerald is a doctoral candidate in the Department of Political Science at Carleton University. Lauren Montgomery is a doctoral candidate in the Department of Sociology and Anthropology at Carleton University. Ahmed, Sara. 2004. “Affective Economies.” Social Text 22(2): 117-139. Anderson, Ben. 2006. “Becoming and Being Hopeful: Towards a Theory of Affect.” Environment and Planning D: Society and Space 24: 733-752. Anderson, Ben, and Adam Holden. 2008. “Affective Urbanism and the Event of Hope.” Space and Culture 11: 142- 159. Baker, Maureen. 2012. “Gendered Families, Academic Work and the ‘Motherhood Penalty.’” Women’s Studies Journal 26(1): 11-24. Bondi, Liz. 2003. “Empathy and Identification: Conceptual Resources for Feminist Fieldwork.” ACME 2(1): 64-76. Campbell, Marie, and Frances Mary Gregor. 2008. Mapping Social Relations: A Primer in Doing Institutional Ethnography. Toronto: University of Toronto Press. Caplan, Paula J. 1993. Lifting a Ton of Feathers: A Woman’s Guide to Surviving in the Academic World. Toronto: University of Toronto Press. Coleman, Major G. 2005. “Racism in Academia: The White Superiority Supposition in the ‘Unbiased’ Search for Knowledge.” European Journal of Political Economy 21(3): 762-774. Daniel, Yvette. 2008. “The “Textualized” Student: An Institutional Ethnography of a Funding Policy for Students with Special Needs in Ontario.” In People at Work: Life, Power, and Social Inclusion in the New Economy, ed. by M. Devault, 248-266. New York: New York University. Diamond, Timothy. 2009. Making Gray Gold: Narratives of Nursing Home Care. Chicago and London: University of Chicago Press. Duffy, Mignon. 2011. Making Care Count. London: Routledge. Reflexivity.” In Handbook of Qualitative Research, 2nd edition, ed. by N. K. Denzin and Y. S. Lincoln, 733-768. Thousand Oaks, CA: Sage Publications. Ellis, Carolyn, Tony E. Adams, and Arthur P. Bochner. 2011. “Autoethnography: An Overview.” Forum Qualitative Sozialforschung/Forum: Qualitative Social Research. 12(1): Article 10. Federici, Silvia. 2012. Revolution at Point Zero. Oakland, CA: PM Press. Honni van Rijswijk. 2015. “Uneven Relationalities, Collective Biography, and Sistely Affect in Neoliberal Universities.” Feminist Formations 27(3): 189-216. Gould, Deborah. 2009. Moving Politics: Emotion and ACT UP’s Fight against AIDS. Chicago: University of Chicago Press. Hardt, Michael. 1999. “Affective Labor.” boundary. 26(2): 89-100. Theory, Method, and Practice, ed. by D. Silverman, 113-129. Thousand Oaks, CA: Sage Publications. hooks, bell. 1994. Teaching to Transgress: Education as a Practice of Freedom. New York: Routledge. Jubas, Kaela. 2012. “On Being a New Academic in the New Academy: Impacts of Neoliberalism on Work and Life of a Junior Faculty Member.” Workplace: A Journal for Academic Labor 21: 25-35. Jubas, Kaela, and Jackie Seidel. 2016. “Knitting as Metaphor for Work: An Institutional Autoethnography to Surface Tensions of Visibility and Invisibility in the Neoliberal Academy.” Journal of Contemporary Ethnography 45(1): 60-84. Jupp, Victor. 2006. The Sage Dictionary of Social Research Methods. London: Sage Publications. Kelly, Gail P., and Sheila Slaughter. 1991. “Women and Higher Education: Trends and Perspectives.” In Women's Higher Education in Comparative Perspective, ed. by G. P. Kelly and S. Slaughter, 3-13. Dordrecht: Kluwer Academic Publishers. Kinsman, Gary, and Patrizia Gentile. 2010. The Canadian War on Queers: National Security as Sexual Regulation. Vancouver: UBC Press. Kobayashi, Audrey. 1994. “Coloring the Field: Gender, ‘Race,’ and the Politics of Fieldwork.” The Professional Geographer 46(1): 73–80. Kyvik, Svein, and Mari Teigen. 1996. “Child Care, Research Collaboration, and Gender Differences in Scientific Productivity.” Science, Technology and Human Values 21(1): 54-71. Mintz, Beth, and Esther Rothblum, eds. 1997. Lesbians in Academia: Degrees of Freedom. New York: Routledge. Philips, John. 2006. “Agencement/Assemblage.” Theory, Culture, and Society 23(2-3): 108-109. Seigworth, Gregory J. 2000. “Banality for Cultural Studies.” Cultural Studies 14(2): 227-268. Smith, Dorothy. 2005. Institutional Ethnography: A Sociology for People. Lanham, MD: AltaMira Press. Smith, Dorothy. 1987. The Everyday World as Problematic: A Feminist Sociology. Toronto, Ontario: University of Toronto Press. for Incorporating Multiple Methodologies.” Qualitative Research 10(1): 5-25. Tullis Owen, Julian A., Chris McRae, Tony E. Adams, and Alisha Vitale. 2009. “Truth Troubles.” Qualitative Inquiry 15, no. 1: 178-200. Uhly, Katrina M., Laura M. Visser, and Kathrin S. Zippel. 2017. “Gendered Patterns in International Research Collaborations in Academia.” Studies in Higher Education 42(4): 760-782. Wilson, Shawn. Research is Ceremony. Halifax: Fernwood Publishing, 2008.